Charmon Parker Williams, Ph.D. is an assistant professor in the Business Psychology Department at The Chicago School of Professional Psychology. Prior to her appointment as Assistant Professor, Dr. Williams served as an adjunct instructor for the School, beginning in 2009. She has also served as an adjunct professor for Northwestern University's Kellogg School of Management. 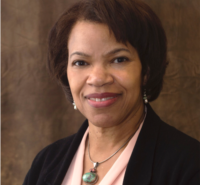 Prior to working at TCSPP, Dr. Williams achieved results in a variety of leadership roles including Program Manager for HR Strategy and Executive Talent Management for Hewitt Associates; Vice President for the Human Resources Management and Workforce Diversity Consulting Practice at James H. Lowry & Associates; Personnel Officer at Harris Trust and Savings Bank, and Personnel Psychologist for the United States Office of Personnel Management. She has a private consulting practice which focuses on Organizational Development, Diversity and Inclusion, Leadership Assessment and Coaching, Strategic Planning for Non-Profits, and Training Facilitation. Her accomplishments transcend a variety of industries in the private, non-profit, and public sectors. Parker Williams, C. (2013). Personal Branding Bloopers, Blunders and Boo Boos and How to Climb Back!. Deerfield, IL: Fingertip Information Publications. Raju, N. Pappas, S., and Parker Williams, C. (1989). An Empirical Monte Carlo Test of the Accuracy of the Correlation, Covariance, and Regression Slope Models for Assessing Validity Generalization. Journal of Applied Psychology, 74 (6), p 901-911. Parker Williams, C. (2009). Leading through the Fog. Diversity MBA Magazine. Parker Williams, C. (2008). Ethics and Values in Leadership: An Organizational Profile. Diversity MBA Magazine. Parker Williams, C. (2008). Work-Life Balance and the C-Suite: An Oxymoron?. Diversity MBA Magazine. Parker Williams, C. (2008). Revisiting Your Personal Brand. Diversity MBA Magazine. Parker Williams, C. (2005). Career Strategies for IT Professionals. Black IT Professional Magazine. Parker Williams, C. (2005). Determining Organizational Fit. Black IT Professional Magazine. Parker Williams, C. (2004). Preparing for Overseas IT Assignments – Outsourcing: A Tale of Two Cities. Black IT Professional Magazine. Parker Williams, C. (2004). Outsourcing Trends in Information Technology. Black IT Professional Magazine. Parker Williams, C. (2007). Succession Planning – The Business Case for Leader Commitment. Black MBA Magazine. Parker Williams, C. (2005). Diversity and Inclusion: How Three Companies Walk the Walk. Black MBA Magazine. Parker Williams, C. (2005). Mentoring – Building the Foundation for a Successful Partnership. Black MBA Magazine. Parker Williams, C. (2003). Revisiting the Black Gender Gap: Bridges for MBAs. Black MBA Magazine.